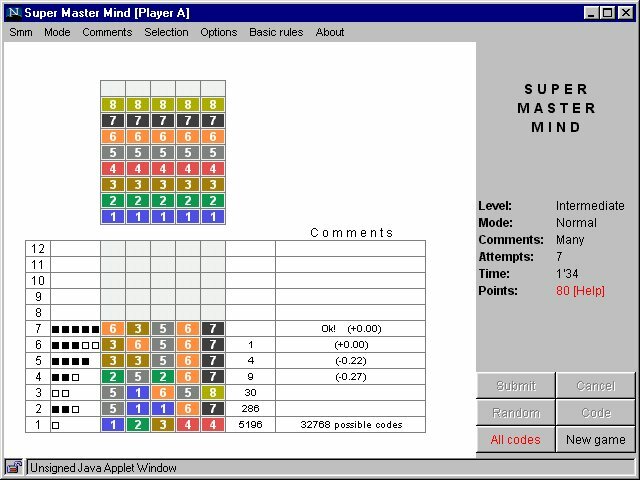 If you like Super Master Mind, try this applet! With / without comments on how efficiently you played, e.g. ERROR: Java is not enabled! and all the source files directly on your system. supporting Java 1.1.4 or a more recent version. please let me know: Ghislain.Costagliola@wanadoo.fr.